The features and options listed are for the new Lexus NX 300, vehicles produced before October will not include the Apple CarPlay feature. Finance for $523 per month at 3.99% APR for 72 months with $3,821 down payment. Payment expires on 04/30/19. Estimated Finance payment based upon 3.99% APR for 72 months, with a down payment of $3,821. Excludes title, taxes, registration, and license fees. Some customers will not qualify. See your authorized dealer for complete details on this and other offers. Residency restrictions may apply. Lease for $388/month for 36 months with $3,821 due at signing including $0 Security Deposit and 10,000 miles per year. Payment expires on 04/30/19. Estimated Lease payment based on 36 months and $3,821 due at lease signing. Cash due at signing includes $4,934 capitalization cost reduction, which includes $795 acquisition fee, plus a required security deposit of $0, and first month's lease payment of $388. Excludes title, taxes, registration, and license fees. Total monthly payments equal $18,882. Mileage charge of $0.25 per mile over 10,000 miles. Not all consumers will qualify. Residency restrictions may apply. Available on approved credit to very well qualified customers through Lexus Financial Services and participating Lexus dealers on a new 2019 NX 300. Security deposit required with exception of prior Lexus Financial Services financing history and/or Lexus Financial Services tier rating in which a security deposit may be waived. Not all customers will qualify. Offer based on MSRP of $38,033 including delivery, processing and handling. Offer already includes $1,500 in Lease Cash incentives applied as a capitalized cost reduction. Monthly payment may vary depending on final price of vehicle & your qualifications. You pay $0.25 per mile over 10,000 per year. See dealer for vehicle and lease program details. Must take delivery by 04/30/2019. Offer available in AK, AZ, CA, CO, ID, NM, NV, OR, UT, WA. Lexus Financial Services is a division of Toyota Motor Credit Corporation (TMCC). TMCC is the authorized attorney-in-fact and servicer for Toyota Lease Trust. 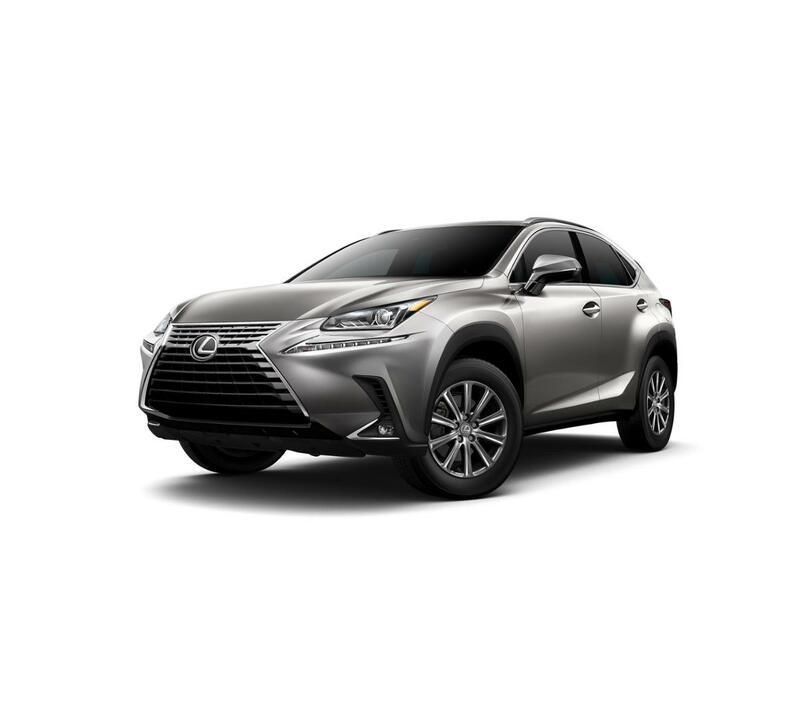 Available on approved credit to very well qualified customers through Lexus Financial Services and participating Lexus dealers on a new 2019 NX 300 AWD. Security deposit required with exception of prior Lexus Financial Services financing history and/or Lexus Financial Services tier rating in which a security deposit may be waived. Not all customers will qualify. Offer based on MSRP of $39,608 including delivery, processing and handling. Offer already includes $1,500 in Lease Cash incentives applied as a capitalized cost reduction. Monthly payment may vary depending on final price of vehicle & your qualifications. You pay $0.25 per mile over 10,000 per year. See dealer for vehicle and lease program details. Must take delivery by 04/30/2019. Offer available in AK, AZ, CA, CO, ID, NM, NV, OR, UT, WA. Lexus Financial Services is a division of Toyota Motor Credit Corporation (TMCC). TMCC is the authorized attorney-in-fact and servicer for Toyota Lease Trust. Offer available on approved credit to very well qualified customers through Lexus Financial Services and participating Lexus dealers on a new 2019 NX 300 AWD F SPORT. Only a limited number of customers will qualify for advertised APR. No down payment required if qualified. Must take delivery from available dealer stock by 04/30/2019. See your local participating dealer for other finance program limits, qualifications and terms. Lexus Financial Services is a service mark of Toyota Motor Credit Corporation. Offer available on approved credit to very well qualified customers through Lexus Financial Services and participating Lexus dealers on a new 2019 NX 300. Only a limited number of customers will qualify for advertised APR. No down payment required if qualified. Must take delivery from available dealer stock by 04/30/2019. See your local participating dealer for other finance program limits, qualifications and terms. Lexus Financial Services is a service mark of Toyota Motor Credit Corporation. Offer available on approved credit to very well qualified customers through Lexus Financial Services and participating Lexus dealers on a new 2019 NX 300 F SPORT. Only a limited number of customers will qualify for advertised APR. No down payment required if qualified. Must take delivery from available dealer stock by 04/30/2019. See your local participating dealer for other finance program limits, qualifications and terms. Lexus Financial Services is a service mark of Toyota Motor Credit Corporation. Offer available through participating Lexus dealers on a new 2019 NX 300 from participating dealer stock and subject to vehicle availability. Cash back available from Lexus, a division of Toyota Motor Sales, U.S.A., Inc. This offer is not compatible with special lease or finance rates offered through Lexus Financial Services. See your Lexus dealer for details. Void where prohibited. Heated Seats, CD Player, iPod/MP3 Input, Aluminum Wheels, HEATED FRONT SEATS, ACCESSORY PACKAGE, Satellite Radio, Back-Up Camera. FUEL EFFICIENT 28 MPG Hwy/22 MPG City! NX 300 trim, ATOMIC SILVER exterior and BLACK interior AND MORE! HEATED FRONT SEATS, ACCESSORY PACKAGE Cargo Net, integrated storage pouch, Carpet Cargo Mat, Key Gloves, Alloy Wheel Locks. Lexus NX 300 with ATOMIC SILVER exterior and BLACK interior features a 4 Cylinder Engine with 235 HP at 4800 RPM*. Edmunds.com explains "The Lexus NX provides an abundance of overall comfort that is uncommon in the segment. Smooth, quiet and comfortable are apt descriptions.". Great Gas Mileage: 28 MPG Hwy. Contact Lexus Santa Monica at (424) 229-9998 or online to learn more about this Lexus NX 300 for sale near Santa Monica. See this NX 300 at our lot! At Lexus Santa Monica in Santa Monica, we have the new and used vehicles you have been looking for! This Atomic Silver 2019 Lexus NX 300 , is available right now at your Santa Monica Lexus dealership. Call us at (424) 229-9998 if you have any questions about this Lexus or any of the other vehicles at our Santa Monica Lexus car dealership. Lexus Santa Monica offers this Lexus NX 300 for sale. All our new and used vehicles undergo an inspection to make sure they're of high quality and worthy of being offered at our dealership and this NX 300 is no exception. View all the details on this vehicle above and then come see it in person at our dealership and take it for a test drive. If it turns out this Lexus NX 300 isn't for you then we have many, many other vehicles to choose from. If you have any questions regarding this Lexus NX 300 or any other vehicle we offer for sale don't hesitate to contact us at (424) 229-9998. Prices do not include additional fees and costs of closing, including government fees and taxes, any finance charges, any dealer documentation fees, any emissions testing fees or other fees. All prices, specifications and availability subject to change without notice. Contact dealer for most current information. MPG estimates on this website are EPA estimates; your actual mileage may vary. For used vehicles, MPG estimates are EPA estimates for the vehicle when it was new. The EPA periodically modifies its MPG calculation methodology; all MPG estimates are based on the methodology in effect when the vehicles were new (please see the Fuel Economy portion of the EPAs website for details, including a MPG recalculation tool). The features and options listed are for the new 2019 Lexus NX 300 and may not apply to this specific vehicle. MSRP contains base MSRP, any factory installed options, and delivery, processing and handling charges. Delivery, processing and handling fee is based on the value of the processing, handling and delivery services Lexus provides, as well as Lexus overall pricing structure. Lexus may make a profit on the delivery, processing and handling fee.